Oh, how times change. In 2013, gamers were castigating Adam Orth for his infamous “#dealwithit” tweet in reference to an always-online Xbox console. In 2012, the folks behind the Medal of Honor series were dealing with unhappy gamers after Medal of Honor: Warfigther was poorly received. But last month, we got a look at the gameplay of Adrift, a first-person space exploration game from Adam Orth and some former colleagues he once worked on the Medal of Honor franchise with, and boy did it look promising. Perhaps promising enough to make gamers forget all about the past, and dwell only on this 2001: A Space Odyssey-inspired future. Aztez is the kind of game that has both the concept and the potential to be one of the big sleeper hits of 2015. Featuring a striking black, white and red colour scheme, Aztez is the type of game you could be forgiven for thinking is another 2D platform/beat-em-up like Guacamelee or Dust, but it has its own completely unique twist. This is a game that claims to allow players to “expand the Aztec Empire through turn-based strategy,” which is a statement that certainly has my attention — especially if the result is in any way reminiscent of the superb Skulls of the Shogun. In recent years gamers have been lucky enough to see the RPG genre expand beyond its two old standbys (medieval fantasy and futuristic sci-fi) and explore other settings. Last year, they got to experience a Viking-themed tactical RPG from a group of developers who previously worked at BioWare. Well, unless they’re Xbox-only gamers, that is. In 2015, developer Stoic and publisher Versus Evil will fix that problem and bring The Banner Saga and its caravan-focused narrative to Xbox One. Oh, and its gameplay is inspired by Final Fantasy Tactics and Shining Force. That should be fun too. Almost immediately after being announced, Below sprung to the forefront of anticipated game lists ’round the interwebs. With unique visuals and a soundtrack by Superbrothers: Sword & Sworcery EP composer Jim Guthrie, this roguelike RPG promises style and substance in spades. Players take the role of a wanderer bent on discovering the secrets of an underground lair on a mysterious island. But be careful on your journey, for even a small cut can cause you to bleed out over time. For a more in-depth look at Below, check out our post-PAX preview from last spring. Nostalgia. Back when I was young, I wasn’t allowed to have many video games and I was always limited on the amount of time I could play on a console. However, I was given free reign over my computer, and Chuck Sommerville’s Chip’s Challenge for Windows 95 was one of the first games that I spent significant time playing. When I saw Chuck’s Challenge, I had to look it up. When I read details about it; I knew I had to play it. Chip’s Challenge was filled with a variety of puzzles including some difficult levels that I never could beat, like Level 147: Force Field. Now that I’m much older, I look forward to playing an indirect sequel to one of my favorite childhood games and conquering of its challenges. Cuphead is a cartoony throwback to an art style that existed long before video games. This run-and-gun sidescroller is drenched with 1930s surrealism, starring a anthropomorphic cup who must defeat a series of bosses in order to repay his debt to the devil. While Cuphead sounds completely ridiculous it looks downright beautiful, making it a game we can’t wait to get our hands on. Gamers of a certain age may remember the ZX Spectrum classic Skool Daze, cross that with Terraria-like crafting elements and you might get The Escapists. The Escapists throws players straight into a high-security prison with the main objective being to break out. Players can take jobs to earn funds, meet accomplices, steal supplies and plan a daring escape strategy all whilst trying to stick to a strict prison regime to avoid detection. Alternatively, you may prefer to just enjoy the opportunity of experiencing the fun of everyday prison life. The Escapists from Team17 and Mouldy Toof is set to release on Xbox One as part of ID@Xbox on February 13. I got a chance to play Fenix Rage at E3 last year. Is it just like Super Meat Boy? Yes. Did I die more times than I can count in my 15 minutes or so with the game? Yes. Was it fun? You bet. If you like this kind of simple but punishing 2D platformer in which the goal is to just not die while collecting objects, avoiding enemies and getting to the exit, then this is going to be a game for you to watch for in 2015. Let me start off by saying this: I’ve never seen a single episode of the Game of Thrones TV show. I decided to buy the Telltale Games Collection on Xbox One recently because I was really interested in more of their episodic games. Well, I am hooked. Even though I didn’t know anything about the show, I’ve found it wasn’t difficult to get into the story. I am very much looking forward to playing the rest of the series as the chapters are released throughout 2015. If you haven’t played this yet, pick it up! Listen up folks — Goat Simulator is a real game, and unlike the 300th iteration of some game about theme parks or Ice Road Truckers: The Game (apologies if this game actually exists and is good), this is one “simulator” that you should be excited for. Initially prototyped as a bit of a joke, the game dropped on Steam and has slowly become a hit. The gameplay originally featured something of a cross between Tony Hawk and Saint’s Row’s Insurance Fraud activity, but has grown to include such ridiculousness as an MMO mode. Seriously — one of the features listed on the Steam page is “MILLIONS OF BUGS! We’re only eliminating the crash-bugs, everything else is hilarious and we’re keeping it.” While we’re not entirely sure what portions of the Steam game will be coming to Xbox One, you can be sure that Goat Simulator will be one of the more out there (and fun!) 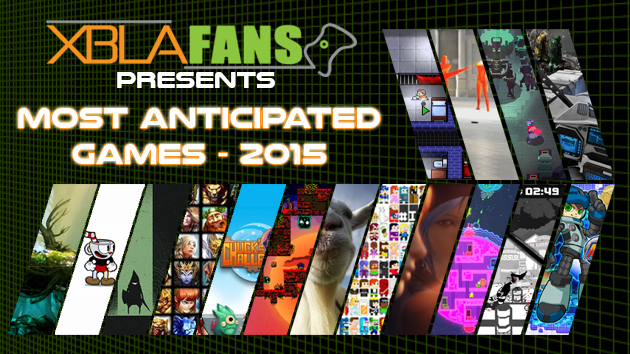 games to hit the platform in 2015. Console-based real-time strategy games are often disappointing. At the same time, they come along so infrequently that fans of the genre will always stand up and take notice. Thankfully, the force is strong in Habitat, a game set in space in the distant future. 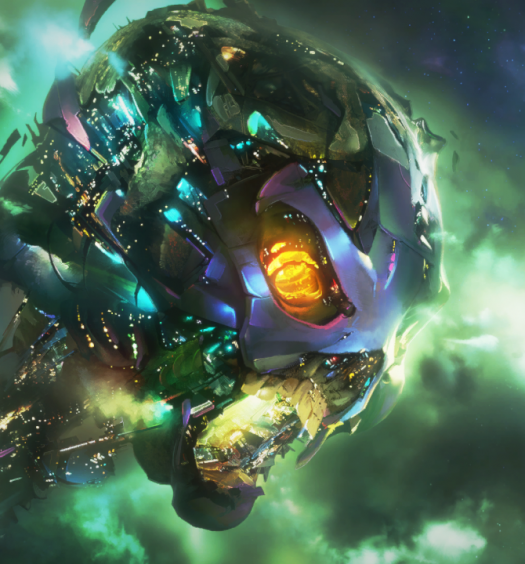 The Earth has been destroyed in Habitat, and players must collect and assimilate floating debris to upgrade and enhance their titular habitat. It’s an interesting concept, and it’s coming to Xbox One in 2015. Gamers will never wholesale agree upon what the greatest action-adventure game or greatest action-RPG ever is. But here’s something we can all agree on: A Link to the Past and Diablo, are sterling representatives of those genres, respectively. It’s with no small amount of audaciousness, then, that Heart Machine claims Hyper Light Drifter “plays like the best parts of A Link to the Past and Diablo.” It was hard to judge the veracity of that claim during my brief hands-on with the title at PAX East last year, but I’m itching for the chance to do so with the full game. Limbo was one of the best games on XBLA, a perfectly eerie platformer filled with violence and mystery. Developer Playdead’s follow-up, Inside, was announced at E3 last year through a cryptic gameplay trailer that left us intrigued. While it appears to be just as dark and puzzling as its predecessor, Inside has set itself apart visually by stepping into the third dimension and adding a splash of color. In the heavily male-dominated landscape of video games, Life Is Strange should be a breath of fresh air and a hopeful continuation of excellent female leads in games. Developed by Dontnod Entertainment and published by Square Enix, Life Is Strange is an episodic adventure game following Maxine Caulfield, a student who discovers that she has the ability to rewind time. Using her newfound ability and with the aide of her best friend Chloe Price, Maxine must investigate the recent disappearance of one of her friends. The time mechanic may prove to be a clever twist on the many adventure games I’ve played, and I’m excited for further female representation in an industry starving for greater representation. Couch co-op is often one of the most-requested game modes for console gamers, and yet as we move through the console generations we find that games with this feature are fast becoming a dying breed. Which is why Toronto-based Asteroid Base’s Lovers in a Dangerous Spacetime is one of our most anticipated games for 2015. It’s a simple concept with basic stick and two-button controls, players team up to control a cutesy pink spaceship and pilot it through a colourful galaxy to rescue kidnapped space bunnies. Sounds simple, right? However, getting both players to work together like a well-oiled machine battling a frantic onslaught of evil robots is easier said than done. If you’re a gamer, then Mighty No. 9 needs no introduction. But just in case you haven’t heard, this is the new game by Keiji Inafune, the creator of the Mega Man series. After a historic Kickstarter campaign — it was funded in just two days and went on to blow past the initial funding goal by over 400 percent — it’s safe to say that there are lots of people dying to get their hands on this game. Expect a 2D platformer in which you gain powers from the bosses you defeat (just like Mega Man), but with modern production values, gorgeous artwork and an excellent score. This is definitely at the top of many gamers’ anticipated games lists. Minecraft is an open-world game loved by millions for its gameplay freedom and endless creative opportunities, and now it’s finally getting a proper narrative. Minecraft Story Mode is Telltale’s newest episodic series and is most likely their riskiest endeavor of 2015. We don’t have any details on what the story could possibly be, but it will no doubt be a fun, emotional and blocky adventure in which characters remember everything you’ve done. Watching Microsoft E3 2014 event one game immediately caught my eye: Moon Studios’ Ori and the Blind Forest. This visually striking “Metroidvania” 2D platformer is a coming-of-age story about Ori, who has lost his mother and is forced to navigate the forest alone. Using light RPG elements, you’ll encounter helpers along the way and obtain new abilities that will help you in your journey. Similar to Child of Light, Ori has an almost dream-like look and uses a stunning juxtaposition of lands covered with cool, blue ice mixed in with hot, red pits of lava. Ori will release on Xbox One on March 11 and Xbox 360 later in 2015. Resident Evil Revelations 2 producer Michiteru Okabe said in an interview, “As for what separates the Revelations games from the main numbered series, I think the numbered titles are the ones that have the power to drive the whole series forward, and it’s their responsibility to take on new directions and challenges… Conversely, it is the responsibility of the Revelations series and other spin-off titles to further complete and refine the franchise offerings, somewhat akin to placing an additional piece in a larger puzzle.” Resident Evil Revelations was a great game. Let’s see what Michiteru Okabe is capable of refining in Resident Evil Revelations 2, which looks promising so far. Georgio Manos is the world’s very first revolving chauffeur. That’s not particularly surprising, since, you know, most roads and cities aren’t really designed for easy traversal of constantly revolving stretch limousines in mind. However, the town of Roundabout, conveniently enough, kind of is. Part Crazy Taxi, part, uh, crazy, spinning platformer game, No Goblin’s Roundabout certainly presents a unique way to get around town. While it made it to Steam last year, Roundabout is scheduled to arrive on Xbox One early in 2015. The popular third-person MOBA Smite is currently becoming a major PC contender in the e-sports world. The game features a huge selection of playable gods, all themed around different historical gods from different mythologies. The game also features Twitch integration for streaming, though details for streaming integration on Xbox One are not yet available. The regular conquest mode is available as well as Arena, Joust (3v3 conquest) and daily game modes meant to mix things up a bit. Smite is also free to play and like most MOBA games it offers purchases of unlocked characters and skins. I’m really looking forward to playing and streaming Smite in late 2015 when it releases. Unless you’ve been living under an asteroid-shaped rock for the last year, you’ve likely heard of Space Engineers. The sandbox space exploration game has been chugging along on Steam’s Early Access program and is headed to Xbox one in the near future. The game recently announced and released its biggest update feature in many months; the “exploration” update which allows for infinite space environments also includes player made ships and wrecks that spawn randomly. The massive environments coupled with sandbox building could make this one of my favorite games to both play with friends and stream in 2015. Superhot is an FPS that appears to have been created as a way to mainline the best parts of The Matrix directly into gamers’ veins. The beauty of Superhot is that time only moves forward when the player moves, creating a virtual hailstorm of bullets capable of being picked through slowly in a sort of suicidal hopscotch match. As the game’s site says, “Take your time. You have as much as you want.” Hopefully the developers have a different line of thinking, as Superhot’s projected June release, unlike an in-game bullet, is drawing quickly closer. Borderlands first caught my attention back when the sequel came out. Tales from the Borderlands ties in very well with Borderlands 2, but it has a completely different play style. Telltale Games has done a wonderful job at bringing the series to life with its own brand of storytelling. The art style is perfect and the game even has some familiar faces. It’s a game I can’t wait to finish to see how the story ends, and then play it all over again.